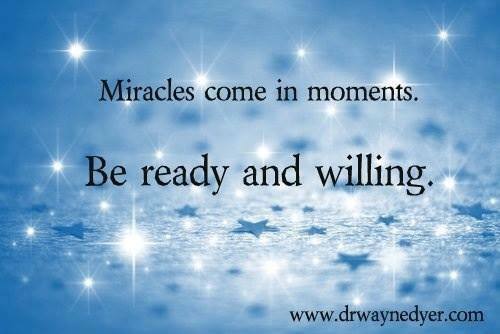 The gift of inextinguishable lightness and brightness brings miracles to all of us, if we are ready and willing. What an absolute honour and what an incredible pleasure it was, to have interviewed Serena Dyer, daughter of the late, Dr. Wayne Dyer, on Living Fearlessly with Lisa McDonald! Let me start off by initially saying, (as I believe was mentioned publicly while LIVE on the airwaves) Serena is undeniably…her Father’s, Daughter! What appeared abundantly clear to me was that Dr. Wayne Dyer practiced privately what he professed publicly, for the expressed sentiments of his teachings, completely rung true, and echoed back to me (as I am sure was equally the case for listeners and podcast subscribers) the embodied spirit of Dr. Wayne Dyer through Serena’s own messaging! A remarkable job well-done in the parenting arena! Serena’s innate vibrancy coupled with her inherent old-soul wisdom, had my bumps-a-goosing on more than a few occasions throughout the duration of our interview. Through the lens of Serena’s own soul, she spoke with such grace and conviction in the sharing of who this legendary man was. The man whose spirit and brightness penetrated the lives of millions worldwide. This man, Wayne Dyer, who was and who to this very day, remains a unifying source. This man, Wayne Dyer, who embodied everything that is right and pure with humanity. This man, Wayne Dyer, who cultivated that everlasting, unbroken chain of lightness and brightness in the co-creating of his beloved daughter, Serena. What we as on-lookers, fans, students, listeners, and readers of all of Wayne’s diversified bodies of work, have had the privilege to receive and to embrace into our own lives, is exactly the same Wayne Dyer as experienced by his daughter, Serena. Serena being quite the storyteller herself, was able to very eloquently convey and capture the profound essence of who, Dr. Wayne Dyer, was…which will continue to transcend all time and space in both the here and now as well as in the ever-after. The extraordinary legacy of this man is so vibrantly alive and very much still at play within the lineage of his beautiful children and grandchildren. For one to co-create a nucleus of deeply grateful, effervescent, thoughtful, introspective, pay-it-forward, and be of service, clan of Dyer offspring…is not only a tremendous gift to all of humanity, it is the foundation for which earns the proudest feather in anyone’s cap in my humble opinion. Wayne was the light. Wayne was the change he wished to see in this world, and the torch has thankfully been passed along to many others including to his beacon of light, Serena! If this is not a snapshot of an encapsulated life purposefully, deliberately, and well-lived – I do not know what is or could be by contrast. What a stellar example of leadership. This is what being at the helm without ego looks like. This is what depicts the fulfillment of ones roles and responsibilities, while also choosing to make the adventure of it, both joy-filled and purposeful. The spiritual well of Dr. Wayne Dyer was consciously and voluntarily always overflowing. To be the daughter of a man who was so consistently filled up, lit up, and living in a flow state of loving, appreciating, valuing, respecting, and honouring all of life…is truly…the greatest gift one could ever bestow upon their children. Wayne knew the journey started with him first and foremost. He knew that in order to genuinely give his children what they were rightfully deserving of, which was the best of him…he had to intrinsically be that to himself before anyone else. The journey of altruism, self-actualization, self-love, perpetually living within the sphere of gratitude is the most meaningful and life-transforming gift one could ever offer another. Serena wholeheartedly understands and embraces this truth as her children, Dr. Wayne Dyer’s grandchildren, are now drinking from the same bountiful saucer passed down and inherited from one generation to another. I will continue to be eternally grateful to both Serena, and her dear father, Dr. Wayne Dyer, for their beautiful teachings, and for their remarkable spirit. The imprint now etched upon my soul will also transcend to my children and my children’s children. The gift of inextinguishable lightness and brightness! Thank you, Serena! Keep Shining our friend!